These are the slides from a talk I gave at the 2011 WordCamps (WordPress conferences) in Chicago, Philly, and Orlando. I consider this a “sequel” to a broader talk on editing the WordPress administrative experience that I like to think I pioneered in 2010 at a few WordCamps, including Chicago and Mid-Alantic, which several new speakers now seem to be running with. WordPress’s visual content editor (TinyMCE) is, in many ways, at the heart of WordPress’s content management experience. It’s where editors spend most of their time, and where content is crafted to appear on the front end of your site. Like most of WordPress, the editor can be customized to be both more powerful and more specific to the needs of an individual site or client. This presentation covers topics including custom editor stylesheets based on post type, modifying and removing buttons from the editor, and even creating your own custom buttons for the TinyMCE toolbar. 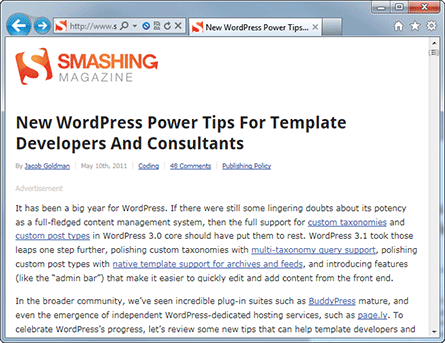 It even covers brand new WordPress 3.3 techniques introduced with the new wp_editor function. Behold this glorious little section of the WordPress 3.3 credits page. I’m never in anything for the recognition or glory, but I have to admit: this is pretty exciting. As of this writing, WordPress powers 15.7% of the top million websites and at least 22% of all new active websites in the US. That is a mind-blowing number of times that the faces and names on the credits page might be seen, even given that it’s buried a little in the admin. 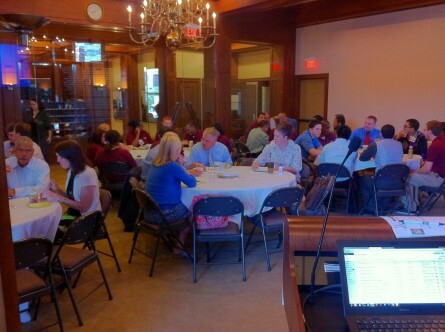 Having a great time presenting an introduction to WordPress to a fun crowd at the Rhode Island Foundation for the Breakfast with an Expert series. WordCamp Boston 2011 was every bit as informative, fun, and inspiring as we expected. Like most great WordCamps, Boston wasn’t just a venue for some great sessions; it was an opportunity to chat it up with a diverse crowd that ranged from lead WordPress contributors to new users just discovering the ways they can use the booming content management system. On Saturday morning – the first day of the event – I finally found the time and inspiration to send in a short sponsorship blog post. 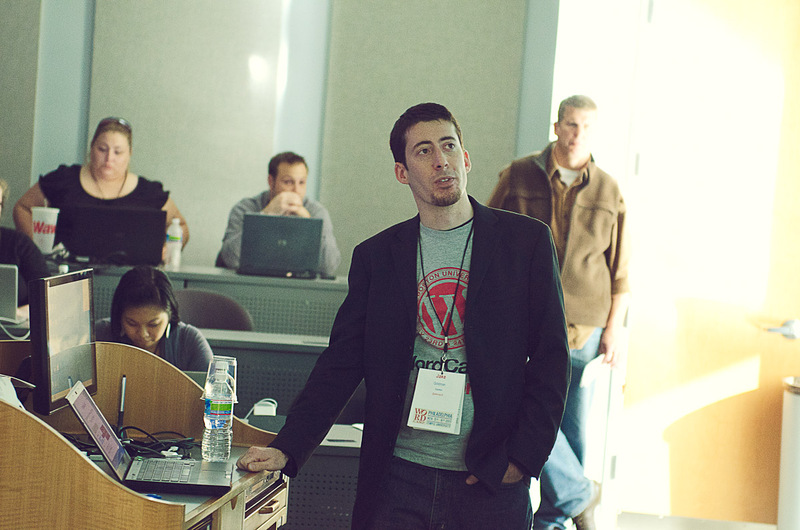 Recalling memories of WordCamp Boston 2010, I was excited for the event, and it didn’t disappoint. At 10up, are freebies usually come in the form of WordPress code: tips, themes, and plug-ins. While a bit atypical, I wanted to share this folder icon we designed from scratch. It incorporates the WordPress logo, which is available here in vector format. Designed with the gray WordPress color palette in mind, this icon can add some flair to your WordPress folder(s) on your computer. There’s a full sized, beautiful 256px version, along with a small version fine tuned for the common 16px icon size. We’re providing them for free with a GPL license, in original vector (Adobe Illustrator CS5 and SVG) formats as well as 256px PNG format and Windows ICO format. As always, we do politely request that if you use these for a client or commercial project, please give us attribution. Donations are welcome! 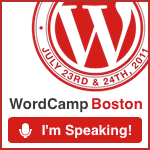 I’m excited to announce that I’ll be speaking again at both WordCamp Boston and WordCamp Chicago in July. 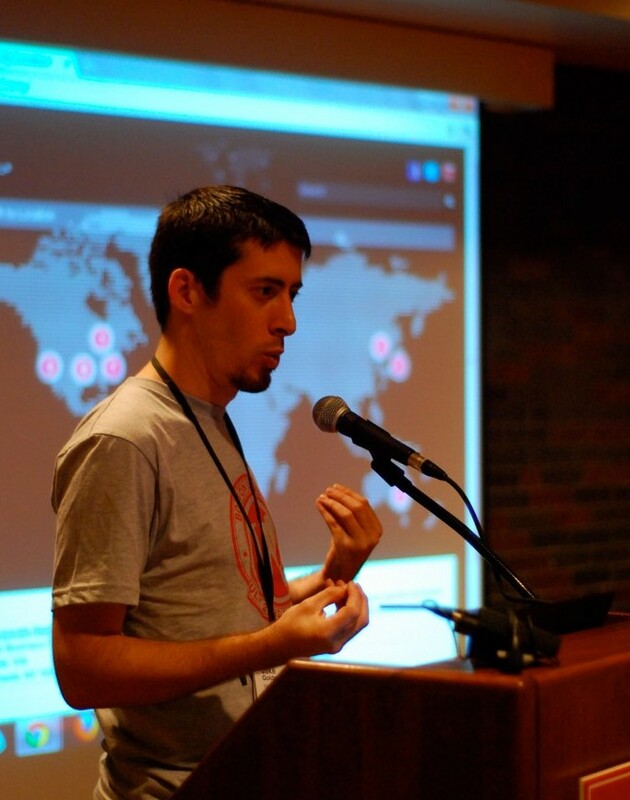 In Boston, I’ll be introducing newer users to approaching WordPress as a full fledged content management system. We’ll explore what a “full fledged CMS” actually means, and how to approach defining your requirements and thinking about your content. We’ll take a look at the administrative section of some complex CMS implementations to show what’s really possible. Then we’ll put ideas and strategy aside and review some configuration options and plug-ins that even the most basic users can latch onto to get started. My session is on Sunday, July 24th at 1:30 pm in the “How To” track. I’ll be attending all weekend, so be sure to find me and say hi! As much as we like giving back to the community, it’s often hard to find time to keep some of the more sophisticated plug-ins up to date. One plug-in that hasn’t been updated in some time that I am frequently asked about is Secondary HTML Content. Nonetheless, I’m excited to say that the biggest hurdles have been tackled. Since we can’t work on hobby projects full time, the release is probably at least a couple of weeks out, mostly having to do with the upgrade path code. My favorite tip is the leading one: applying WordPress’s highly underutilized, built in pagination function. I frequently see even high end, WordPress.com VIP themes relying on plug-ins like WP-PageNavi to do what WordPress can actually handle pretty well natively. The paginate_links function is a flexible little gem that should be used far more often than it is. In the 5 days since the article was published, it was tweeted over 1,100 times and like on Facebook nearly 200 times. This website also saw a surge of traffic, which it handled gracefully thanks to some smart object caching and a highly reliable, distributed host. Check out the article over at Smashing Magazine.